Partnerships are invaluable when it comes to raising community awareness about hearing health issues and pointing those impacted by hearing loss to the information, resources and support they need. Hearing Charities of America has developed a network of partnerships across the country that share in our mission. The American Academy of Audiology (AAA) is a professional organization for audiologists. AAA provides quality hearing care services through professional development, education, research and increased public awareness of hearing and balance disorders. AAA has helped make Hearing Charities’ A Sound Investment Campaign possible. The American Speech-Language-Hearing Association (ASHA) is the professional, scientific and credentialing association for 135,000 members and affiliates who are audiologists, speech-language pathologists and speech, language and hearing scientists. ASHA offers professionals the most current information in their fields. ASHA also provides information to help individuals understand communication and communication disorders. ASHA supports Hearing Charities in the “To Hear the Future” campaign that launched in 2010. Audicus is helping Hearing Charities of America collect used hearing aids to refurbish for individuals in need. Audicus has disrupted the hearing aid industry by offering high-tech, affordable hearing aids online at prices 70 percent lower than prices at a traditional clinic. Audicus hearing aids boast the same technology as the leading hearing aids on the market and are manufactured in Germany. Hearing Health Foundation (HHF) is the largest non-profit funder of hearing research, with a mission to prevent and cure hearing loss and tinnitus through groundbreaking research and promote hearing health. We envision a world where everyone has the opportunity to enjoy life without hearing loss and tinnitus. Since 1958, HHF has given away millions of dollars to hearing and balance research, including work that led to cochlear implant technology and now through the Hearing Restoration Project is working on a cure for hearing loss and tinnitus. HHF also publishes Hearing Health magazine, a free consumer resource on hearing loss and related technology, research, and products. Hearingloop.org is a nonprofit informational website dedicated to looping induction technologies. The site provides an overview of the technologies that transmit sound directly to a hearing aid where the technology is installed. Hearingloop.org is partnering with Hearing Charities in our “A Sound Investment” campaign. The Hearing Loss Association of America (HLAA) provides information and advocacy for people with hearing loss. 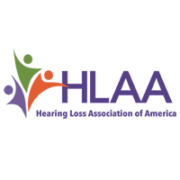 The HLAA supports individuals at the national and local levels with over 200 chapters in communities throughout the nation. They offer educational opportunities to professionals in the hearing field, as well as people with hearing loss. The goal is to empower them to learn more about their hearing loss and what resources are available to them. Composed of more than 400 clubs across the country, this civic service organization’s primary goal is to reach those affected by hearing loss and communicative disorders. Sertoma’s members do this through educational programs such as Sertoma SAFEEars!, scholarships and the Adopt-An-Agency program. Sertoma is the founding partner of Hearing Charities.